Join YUAA for our sixth annual Aeronautica showcase! The showcase will include presentations by our five project teams as well as a key note address from our former co-presidents. Come learn about our activities and projects over the past semesters! Doors open at 6:30, and presentations begin at 7. Dinner and snacks are provided. WLH 201 (Sudler Hall), 100 Wall St. 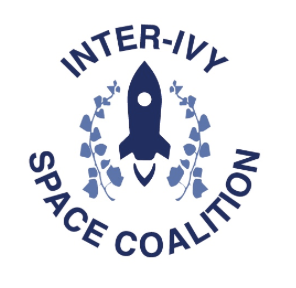 The Inter-Ivy Space Coalition (IISC) is a new collaboration between aerospace student groups at all eight Ivy league Schools. IISC’s goal is to facilitate conversations on improvements for each club’s engineering projects and to build a more vibrant aerospace community across the Ivy Leagues. 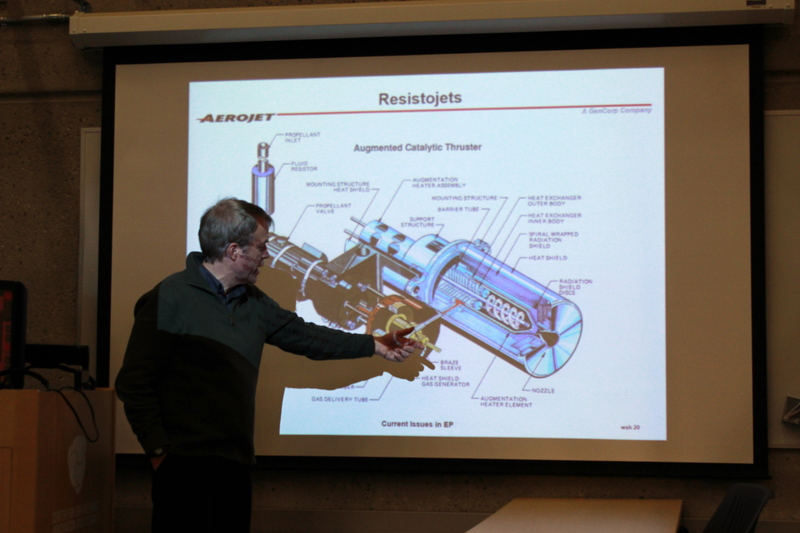 Through this collaboration, our aerospace organizations will be able to coordinate streamed speaker events, share engineering expertise and resources, and provide project support and critique for other clubs. 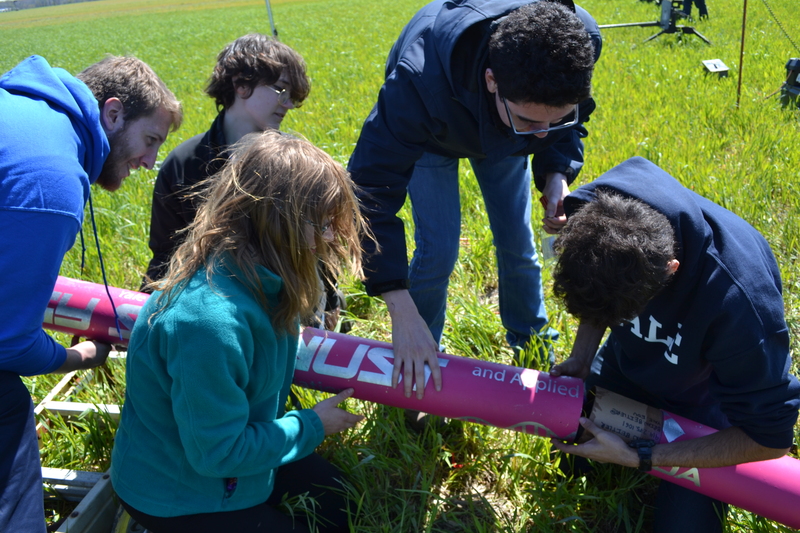 On April 7, YUAA will host the first IISC conference to bring together students for a weekend of discussions on the future of aerospace and the role of student groups in the industry. The conference will be an opportunity for students to meet face to face and engage with experts working in the industry. 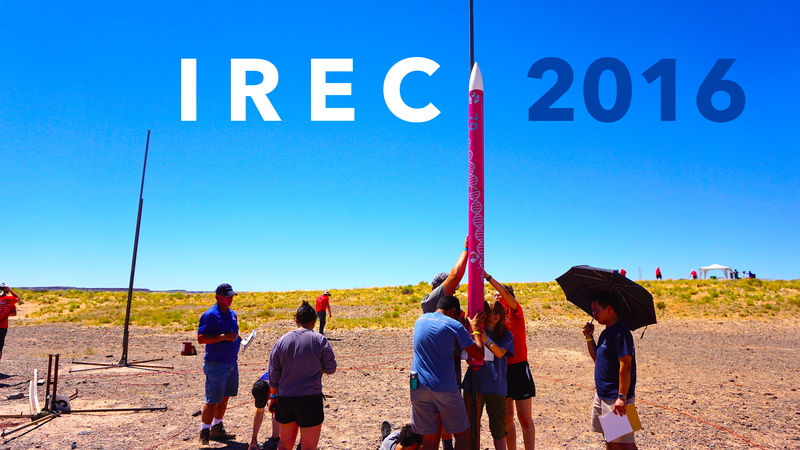 Through speaker events, networking sessions, debates, and poster symposiums, students will get to connect with other university clubs and professionals in the field to work on building a stronger aerospace community. If you are interested in supporting our first conference, please contact Isabella Trierweiler at isabella.trierweiler@yale.edu. 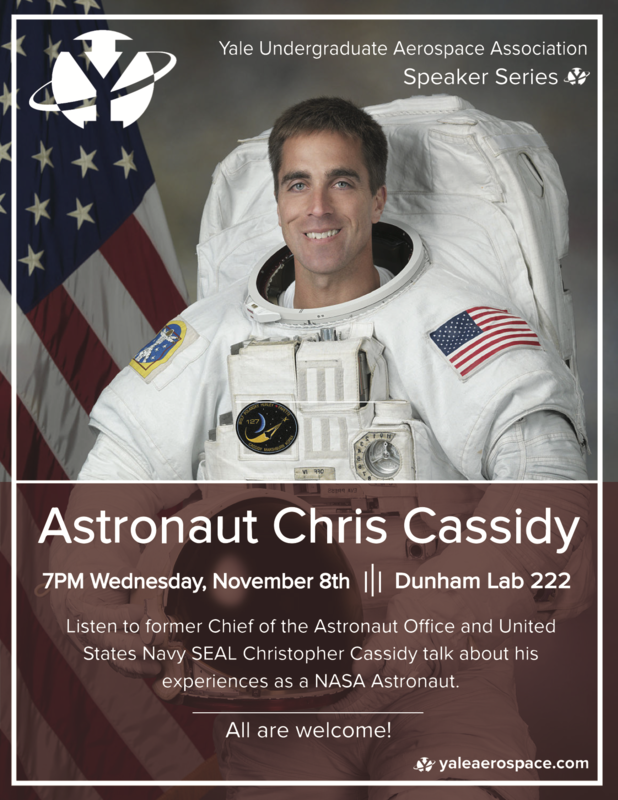 Today YUAA hosted Navy SEAL and former Chief NASA Astronaut Chris Cassidy. Mr Cassidy spoke about his experience as an astronaut serving on two missions to the International Space Station. 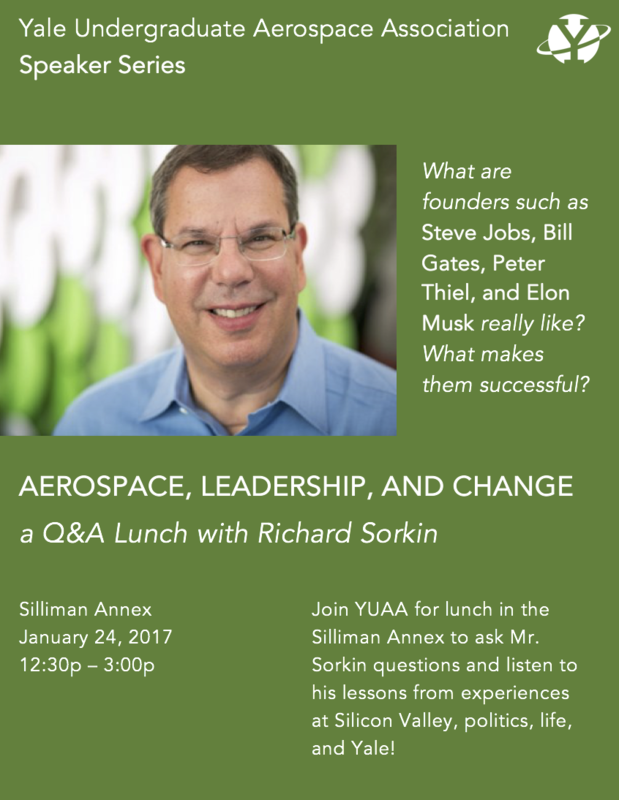 Today, in the Silliman Annex, YUAA hosted a casual Q&A session with Mr. Richard Sorkin. This was a great opportunity to ask him questions and listen to his lessons from his experiences at Yale, Silicon Valley, politics, and life. Mr. Sorkin talked about what founders such as Steve Jobs, Bill Gates, Peter Thiel, and Elon Musk are really like, and what makes them successful (including a discussion of the Boy Scout – Sociopath spectrum!). Mr. Sorkin spoke about what it’s like to work with a Member of Congress and be involved in POTUS Transition. Mr. Sorkin is a Silicon Valley based serial entrepreneur, executive, advisor, board member and investor, with total exits exceeding $1 billion and a track record of scaling revenue from $0-20M and $100-$800M. For over 20 years, he has led breakthrough companies commercializing transformative technologies, most recently in Big Data predictive analytics with a focus on energy, the environment, financial services, and politics. Mr. Sorkin’s prior experience includes NASA, Goldman Sachs, Bain, and Kaggle. He has served as a Board Member at private and public companies as well as JFCS, AIPAC PNW, and the Yale Development Board. Extensive political experience includes work on the big data strategy for the 2016 Presidential campaign, Chair of the Technology Advisory Board of Congressman Devin Nunes, and extensive advocacy work in Congress. his experiences. He also talked about what is special about the industry and how it differs from others, primarily to provide insight to those members who may be considering a career in the industry. 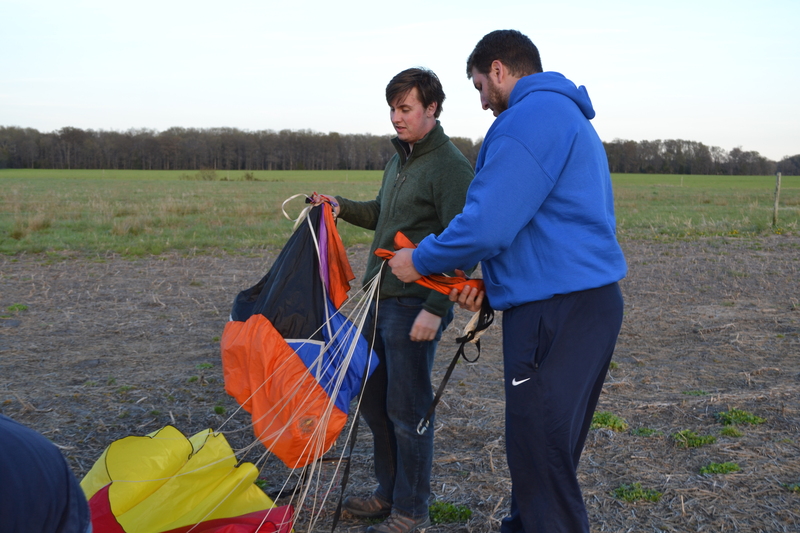 In addition, Mr. Maass described a few interesting projects he was involved with as an undergraduate, such as a human powered aircraft, inspiring some ideas for future projects for YUAA! David Maass is President of Flightware, a consulting firm that provides expertise to aerospace and defense firms and the US government. 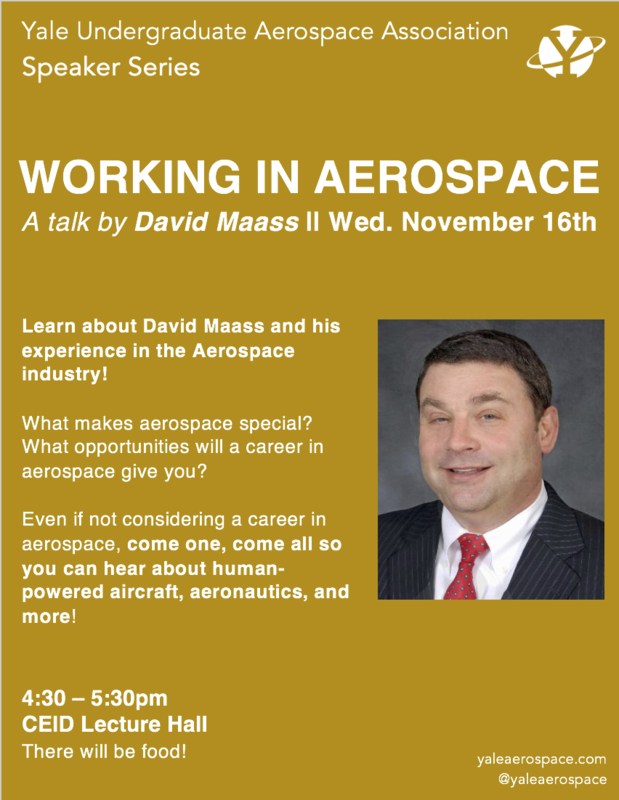 Mr. Maass is an Aeronautical Engineer with BS and MS degrees from MIT. He started his career working for Sikorsky Aircraft in 1977 shortly after they won the contract to produce the Black Hawk helicopter. Four years later he started his own firm, Advanced Composite Products, in Connecticut to design and manufacture parts made from composite materials for a wide variety of applications from the B2 Stealth bomber to guitars. His company merged with another firm and in 1994 he went out on his own again as an independent consultant with Flightware. 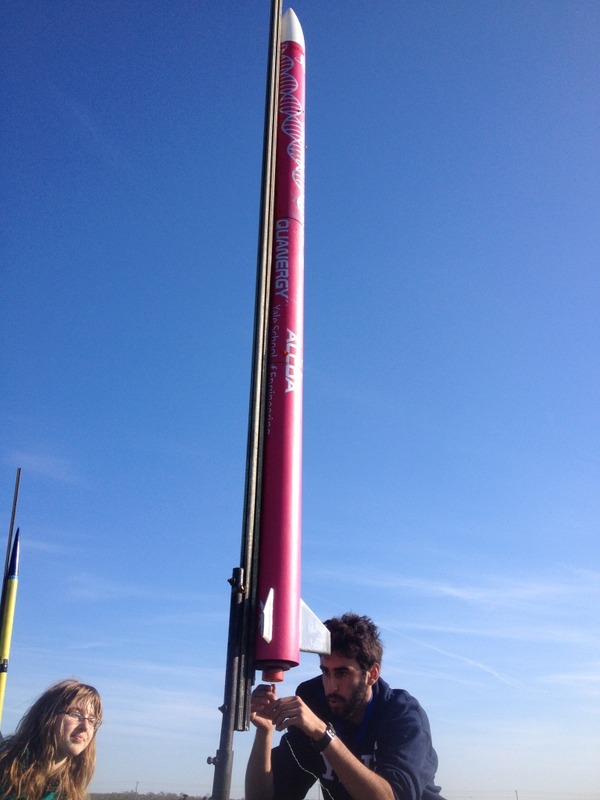 His clients are mainly in the aerospace industry but he also worked on wind energy and transportation projects. David has also been a Private pilot for 43 years and is a member of Yale Aviation (though now inactive). 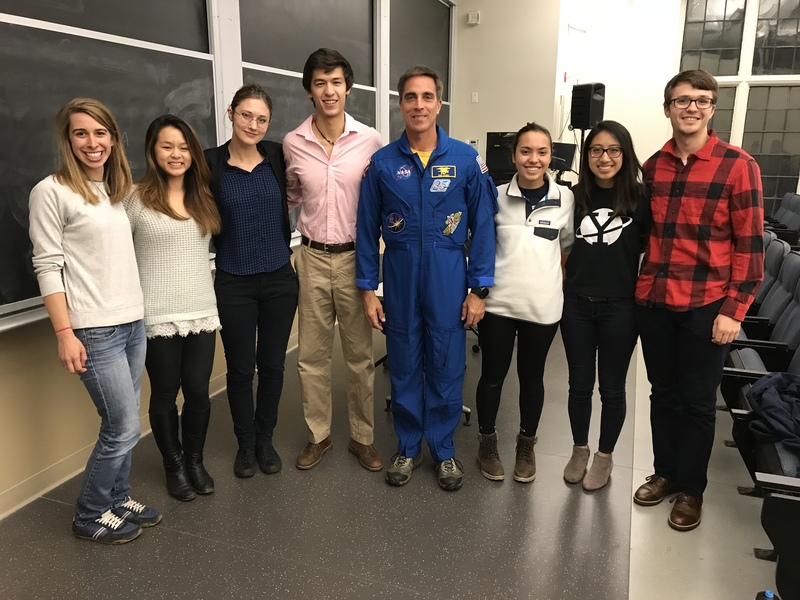 In our second speaker series event of the 2016-2017 academic year, we invited Alden Richards, Yale class of 1977, to talk to our members and those of the Yale community about his experiences in the space industry. 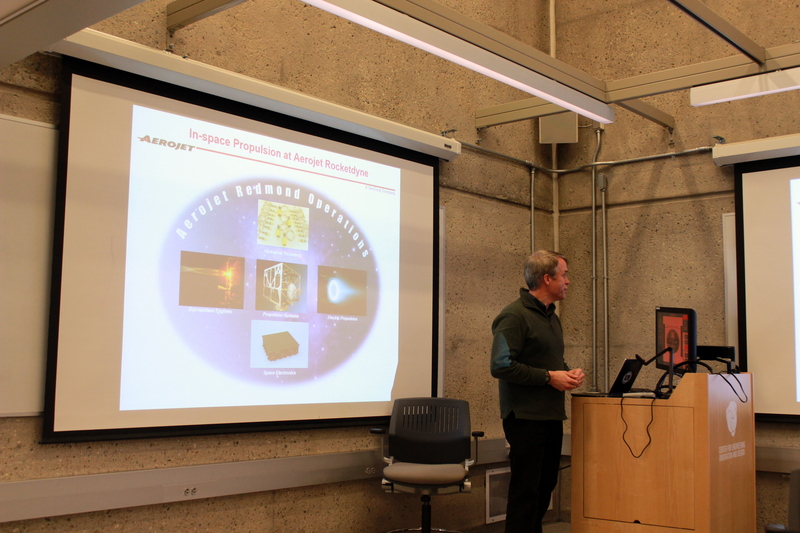 In a whirlwind 2-hour talk, he took the audience on a journey from the early origins of rockets to his visions of the future of commercial spaceflight. 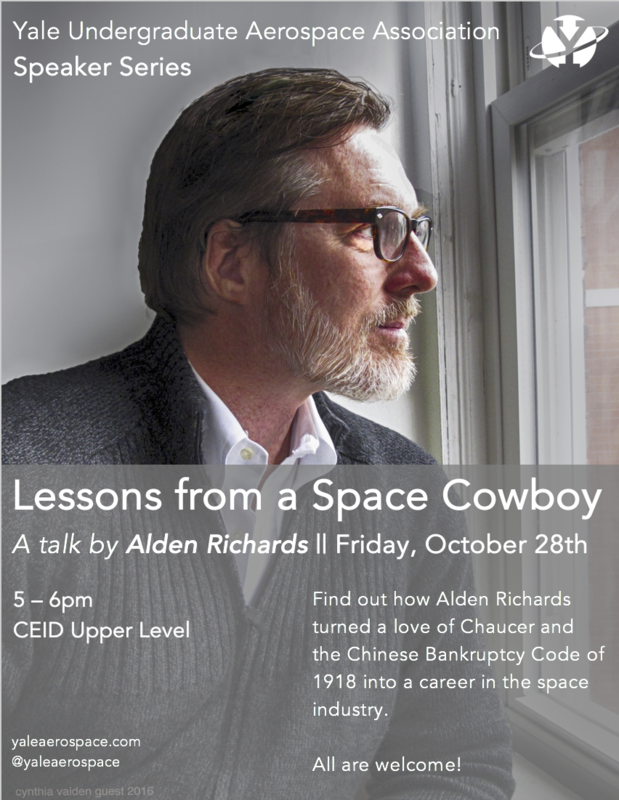 He spoke about his extremely varied life experiences, and how despite majoring in Medieval English Literature and Contemporary Chinese Legal Practices at Yale, he ended up as a consultant for many space companies, specialising in the high-risk, high-reward field of satellite insurance. A couple of decades ago, WIRED magazine even dubbed him “Space Cowboy” for his charismatic emergence onto the scene. 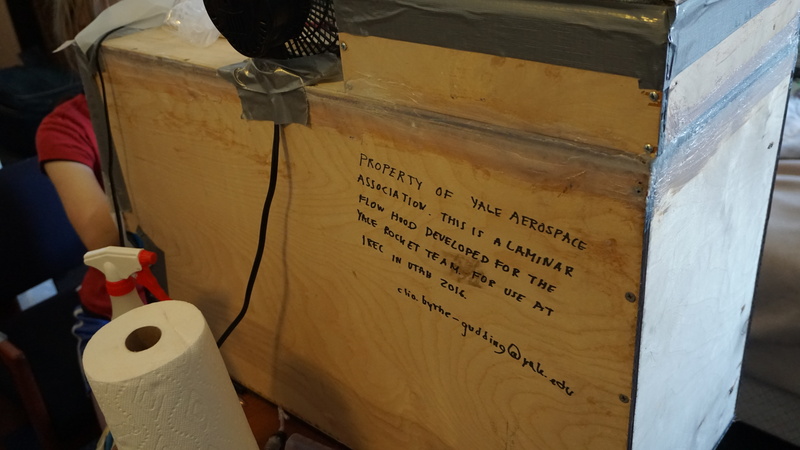 Mr. Richards also teaches a very popular college seminar at Yale titled “Space Industry in US History”, which continues to be very in demand. YUAA was extremely honoured to host Alden Richards for our ongoing speaker series, and we hope to continue our association with him in the years to come. YUAA’s first speaker event took place today, October 6th, from 5pm – 6pm in the CEID Lecture Hall. 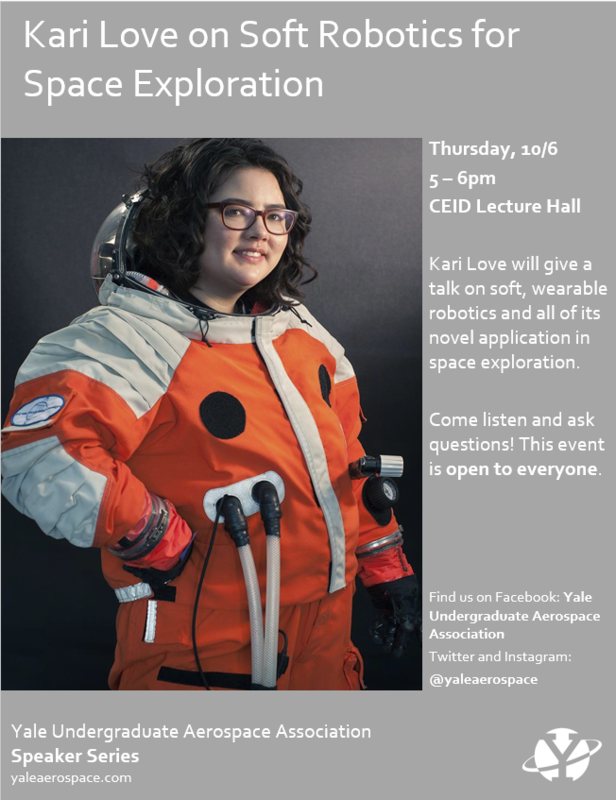 We hosted Kari Love, who gave a talk on soft robotics for space exploration. The emerging field of soft robotics represents a significant opportunity for novel solutions in the demanding environments of space. 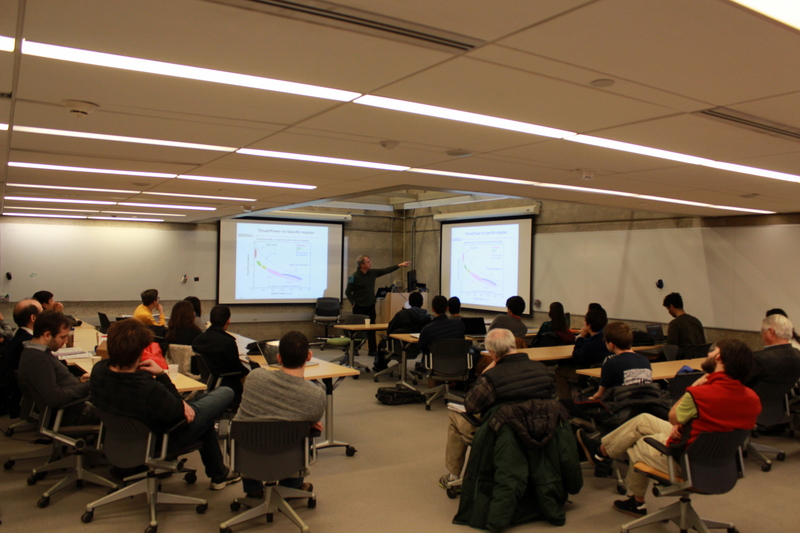 Ms. Love’s talk featured a brief overview of the domain of soft robotics, its suitability to space exploration applications, and a survey of NASA funded projects involving soft and/or hybrid robotics. There was also an interesting discussion of the interpretation of next-generation space suits as wearable soft robots, and the exciting potential mechanical counter-pressure presents. Ms. Kari Love is an administrator and a soft roboticist with a specialty in wearable technology for Super-Releaser, a Brooklyn-based soft robotics R&D consultancy. She worked with Final Frontier Design, a commercial space suit company, from 2013-2016 as Lead Patternmaker and Fabricator. In that role Ms. Love worked as a technical expert on 3 NASA SBIR contracts, a Space Act Agreement, and a contract on Mechanical Counter-Pressure gloves. She also served as a Test Director for hardware validation in parabolic flight conducted with NRC-Canda. Prior to her career in commercial space tech, Ms. Love developed costumes for Broadway for more than a decade, including her Spider-Man:Turn Off The Dark costume which was inducted into the Smithsonian collection. She was also a bridesmaid on the first documented weightless wedding in parabolic flight. 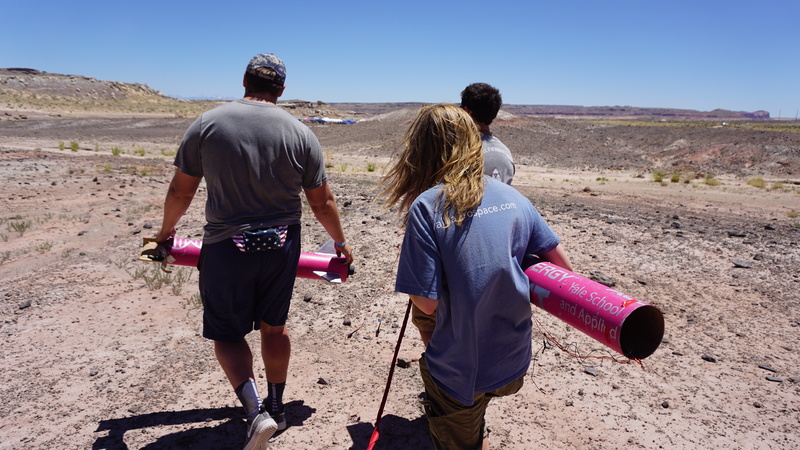 This past week, the Yale Payload Rocket Team traveled to Green River, Utah to compete in the annual Intercollegiate Rocket Engineering Competition. 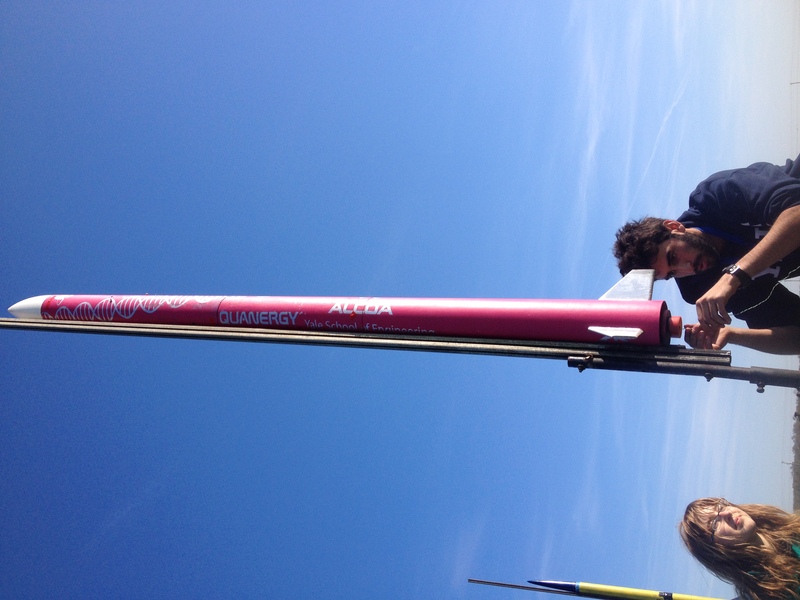 For the competition, the team built a rocket called Ziggy Stardust, which was actually launched once before, successfully, at Red Glare in Maryland. 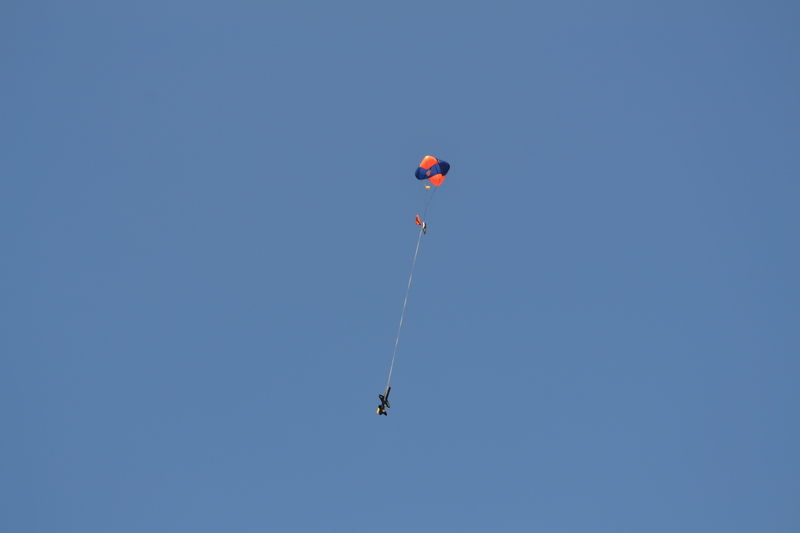 Ziggy was designed to carry a special biological payload: the team designed and constructed an air-sampling system that would sample and trap any microbes in the air at 10,000ft in a robust liquid impinger. Post-launch search for Ziggy was successful! 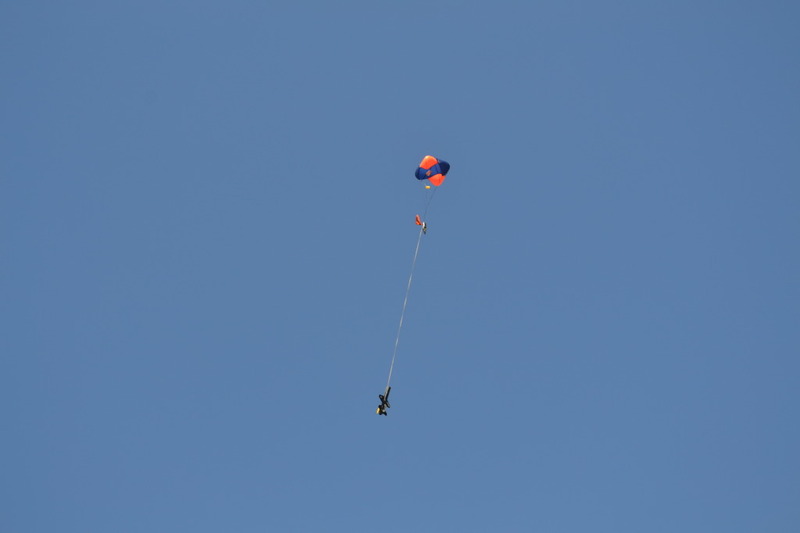 Ziggy launched successfully and the air-sampling system activated as intended. 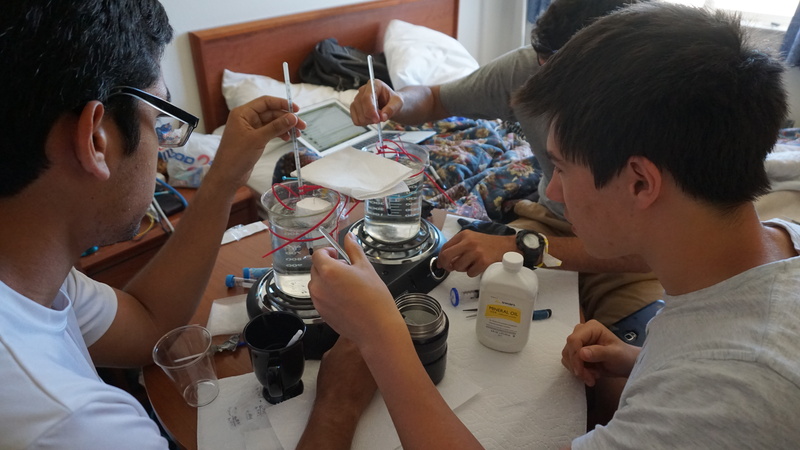 Afterwards, the team worked hard in processing the bacteria collected using a handmade, portable laminar flow-hood, a DIY PCR set-up, and patience. 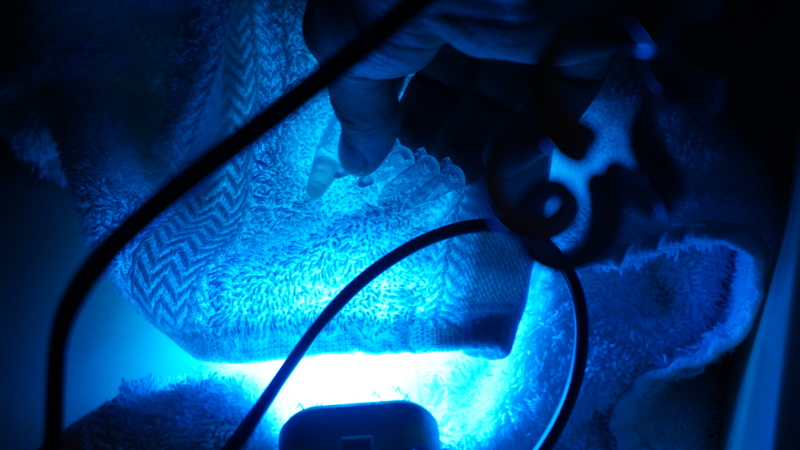 UV-C lamp and sample with special dye. Portable laminar flow hood used to evaluate the samples. DIY PCR set-up with (from left to right) Gerardo Carranza ’17 (co-president), Devin Cody ’17 (co-president), and Brian Beitler ’18 (team leader). 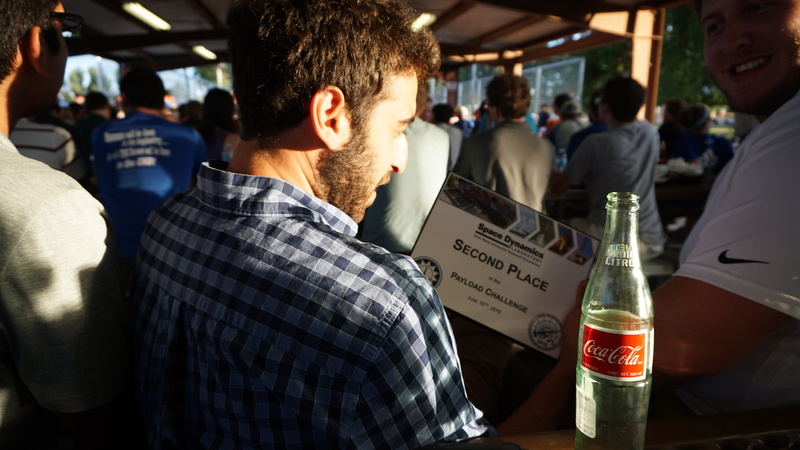 The competition ended in success, as the team placed 2nd in the payload category out of 60+ teams from around the world. The competition ran from Wednesday, June 15 to Saturday June 18th.